If you've been a reader here for any length of time, you know that I'm passionate about trying to live a greener lifestyle. As part of that, I've switched many of our cleaners over to the natural ones without all the pesky chemicals. I've tried so many and some I've liked and some I haven't. It's a work in progress to find non-chemical cleaners that work just as well. 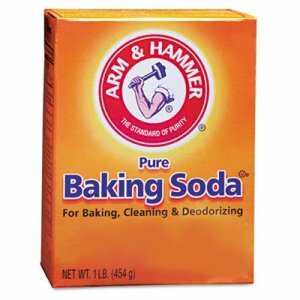 Another thing I would like to try out is using baking soda as a cleaner. I know that many people rave that it works as a great cleaner, I just haven't actually used it yet. 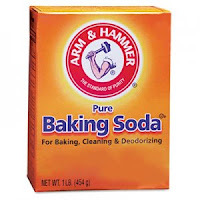 Anyway, I happened upon this super nifty (yes, I said nifty) way to make cleaning with baking soda sooo much easier. Read this post over at Keeping the Kingdom First to see how to make your own baking soda shaker, for free! I love that it repurposes an item from your recycling bucket! Now we can buy a big bag of baking soda (cheaper and less packaging waste!) and we won't have to buy as many bottled cleaners (again, cheaper and less packaging! ).